Every business in Richmond, big or small, needs to maintain good image for their clients. The best way to do this is to rely on commercial cleaning services. Our company Local Cleaners Richmond is the best solution to all of your office cleaning needs. As a provider of cleaning services, we are also in business, just like you. We understand the rigours of doing business in a highly competitive environment, which demands the sacrifice of time and resources. For this reason, Local Cleaners Richmond is here to help you create more time for your work. We are popular for our excellent commercial cleaning in Richmond. This can uplift your production level and help your business to expand. On our part, we take charge of all your cleaning needs to ensure that you and your employees have more time for your business. By hiring our cleaners, you can easily improve your business identity. Expert cleaners have the necessary knowledge and experience to handle office cleaning services in a professional manner. We can clean the most difficult areas and remove the most stubborn stains. We achieve this by using specialised equipment and cleaning products that do no harm to the environment. As a result, the office is sparkling clean at all times. Commercial cleaners can do other side services: Apart from cleaning your premises, we may arrange your furniture, collect rubbish in your office garden, and dispose of any junk material in your space. According to research, a clean office leads to more productive staff. We understand this and have made it our mission to take our cleaning services to the next level. That is why you can always count on us to clean to the highest possible standard. Believe it or not, hiring Local Cleaners Richmond for our commercial cleaning service can actually save you a ton of money. Even though you are paying for the service itself, you are actually getting more returns. Whether it be increased productivity of all staff or a new client who was quite impressed with the place, you are bound to save money. Besides, we know how to do our work in the best way possible within the shortest time. Instead of paying daily or weekly office cleaning services, we can perform an organised, thorough cleaning at scheduled periods for competitive cleaning prices. Of course, you need to remember that the price of our cleaning service is quite affordable, to begin with. We maintain highly-competitive price lists as we know this is something all business in Richmond appreciate. We urge you to check this for yourself. Give us a call at 020 3912 1180 and ask for a free quote. We will gladly provide one so you know that our company is the most affordable in the area. 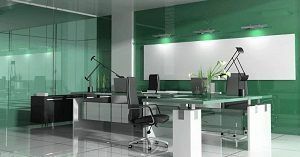 It is for these reasons and others that we recommend our commercial cleaning in Richmond for your office. Get in touch with us on 020 3912 1180.